This article is about the baseball team. For the NFL team, see 1941 Brooklyn Dodgers (NFL) season. The 1941 Brooklyn Dodgers, led by manager Leo Durocher, won their first pennant in 21 years, edging the St. Louis Cardinals by 2.5 games. They went on to lose to the New York Yankees in the World Series. In The New Bill James Historical Baseball Abstract, this team was referenced as one of "The Greatest Teams That Never Was", due to the quality of its starting lineup. Dolph Camilli was the slugging star with 34 home runs and 120 RBI. He was voted the National League's Most Valuable Player. Pete Reiser, a 22-year-old rookie, led the league in batting average, slugging percentage, and runs scored. Other regulars included Hall of Famers Billy Herman, Joe Medwick, Pee Wee Reese, and Dixie Walker. Not surprisingly, the Dodgers scored the most runs of any NL team (800). December 1940: Boze Berger was traded by the Dodgers to the New York Yankees for Jack Graham. This was the first Subway Series between the Brooklyn Dodgers and New York Yankees, who had already faced the crosstown New York Giants five times, and the Series was now 1–0 in favor of the Bronx Bombers. These two teams would meet a total of seven (7) times from 1941–1956 – the Dodgers' only victory coming in 1955. 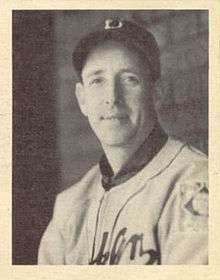 Whit Wyatt had a career season in 1941.